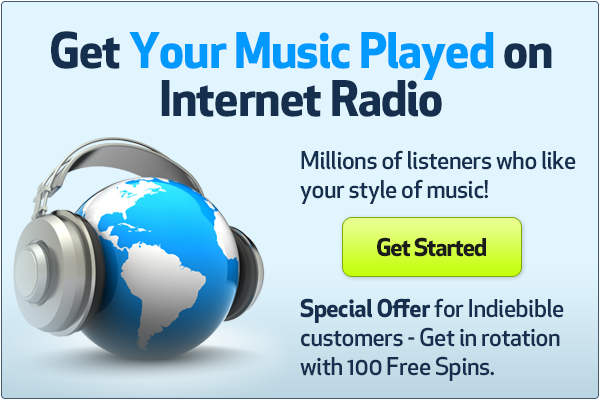 Get your music on the radio with guaranteed airplay to people who like your style of music. Upload music and target the right listeners Start by uploading your songs and photos. Next, choose the popular artists whose music is most similar to your own. Get played on Jango and collect fans Your music will get played to Jango users listening to radio stations that feature the popular artists you chose. These are the listeners most likely to become your fan. Get reports and data on your new fan base Jango Airplay artists get detailed reports on their new fan base, a great resource for knowing your audience. Jango.com is social internet radio with 7M listeners. People create custom stations with the artists they love. When your music plays in their stations, they can become your fan and share their email address with you. Every day Jango Airplay artists make thousands of new fans that they can communicate with. Jango Airplay artists get constantly updated reports on their new fan base. We will tell you when your music is played and who it is played to. You will also receive unique insights into how your music is rated by and resonates with Jango’s listeners. Which songs have the most hit potential? Are you more popular on the West Coast or on the east Coast? Europe or Asia? Those questions and many more can be answered by Jango Airplay. Get more out of your plays with Premium Targeting. gender: for the ladies, for the guys, or both at once. Every week Jango awards more than 100,000 bonus Play Credits to bands and artist based on their Jango Pop-Score. Jango PopScore measures how well your music is received by Jango’s 7M listeners. Bands with a high PopScore also get opportunities for sync licensing and label submissions.